Use with two Return/Bridge Shells to create an "L" format workstation; add a Desk Shell to form a complete "U" layout. 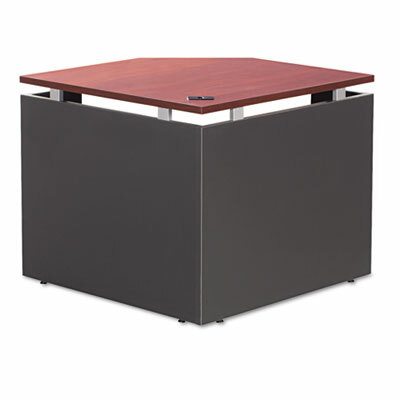 Elevated close-grained laminate top with contemporary metal supports. Grommet provides cable and wire management. Not freestanding. Use with two Return/Bridge Shells to create an "L" workstation; add a Desk Shell to form a complete "U" layout. A blend of contemporary styling, rich textures and elegant finishes. Elevated close-grained laminate top with contemporary metal supports. Worksurface grommet provides convenient cable and wire management.